Just launched your startup and looking for ways to get the word around about your newly-found business? Not sure about how to go about communicating your brand to the world? 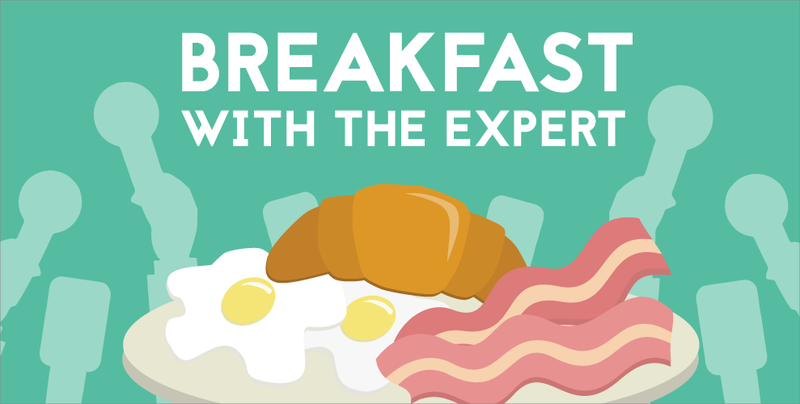 Well, you are in luck because Impact Hub Phnom Penh is having its monthly Breakfast with the Expert session on 23 January, from 8.30 to 9.30am! As one of its flagship public events, these unique sessions combine a hearty breakfast meal with actual food for thought. Participants can expect to learn more insights and knowledge from industry experts and thought leaders in the Kingdom and gain several valuable takeaways that they can apply in their very own companies or entrepreneurial journeys. This month, the session will revolve around the overarching topic of “How To Attract Media Attention: PR Tips for Startups and SMEs”, aiming to impart tips and tricks small businesses and startups can engage in to solidify their public relations strategy. For many small startups and SMEs, they can safely vouch that engaging in public relations can be a major challenge. This is due to the high costs needed just to hire a PR firm or team just to piece together various strategies, media kits and press releases. With that being said, during this session, participants will get to hear from 2 experts from Quantum Communications Asia, the Kingdom’s leading public relations and media consulting firm, on how they can find alternative methods to engage in public relations and help their own startups generate the necessary press to reach the pinnacle of success. Before becoming the Managing Director of Quantum Communications Asia, Mr Julian Rake covered news stories in over 65 countries during his 27-year, award-winning career as a journalist at Reuters and CNN. As Reuters deputy bureau chief in Jerusalem, he led the team that won a U.K. Royal Television Society award for coverage from the Middle East. He is a specialist in television and wire agency news, but has broad experience in all news formats, including digital and social media. Now, he manages Quantum’s operations on a day-to-day basis and works closely with all clients to create winning public relations strategies. As the Senior Editor of Quantum Communications Asia, Mr Peter Ford is in-charge of overseeing the production and editing of written content — scripts, press releases, subtitles, content, proposals — for clients. Since 2014, he had been working as a freelance writer, associate editor of The Cambodia Daily, and with Extraordinary Chambers in the Courts of Cambodia (ECCC) where he was involved in monitoring media coverage of the court, as well as producing press releases and media updates. In the past ten years, he has been living and working across Asia, from Japan to Kazakhstan, and Cambodia; which has been his home for two years now. So if you are interested in attending this event, do get your hands on some tickets now as spaces are very limited! Tickets will be going at $10 for non-members and $3 for Impact Hub members, which you can buy through Abigail at abigail.perriman@impacthub.net. For more information on Impact Hub Phnom Penh, you can go to their website or head down to their Facebook Page and to find out more about Quantum Communications Asia, you can take a look at their website or Facebook Page as well.